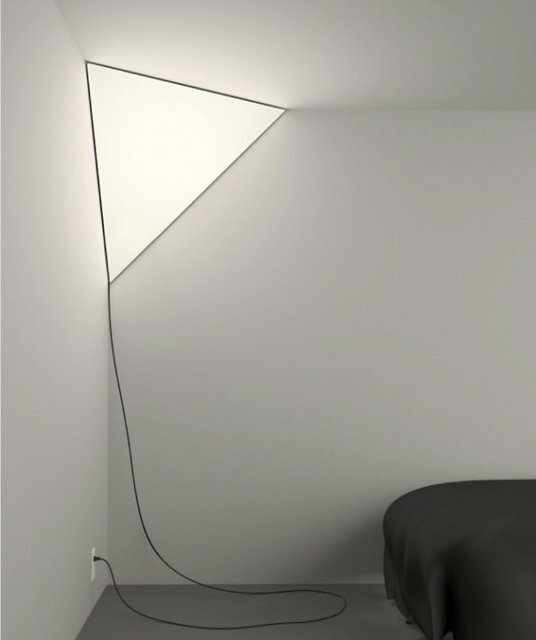 Placed where the wall and ceiling meet, the Corner Light creates an equilateral triangle of light nestled in the corner of a room. The integrated form implies the lamp is part of the architecture of the room, but the purposefully exposed cable reveals that the light’s placement is temporary. The light is held up with a simple steel bracket that mounts to the wall and an aluminium frame; a fabric diffuser magnetically attaches to the frame to complete the lamp. 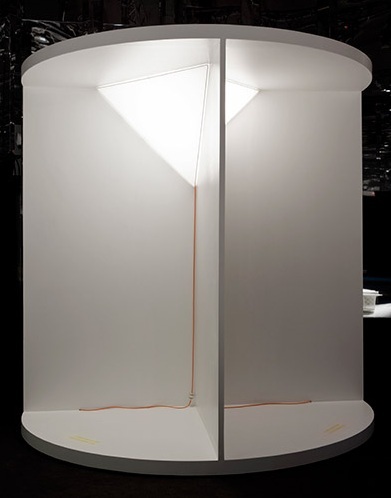 Available in two sizes, the novel idea and clever execution of Corner Light makes a contradictory statement that is both inherently iconic and minimalist at the same time.